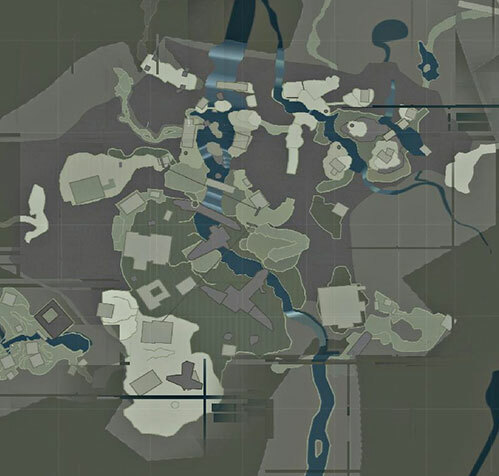 Notes: This Treasure Map is located inside the optional Tomb of the Unworthy. 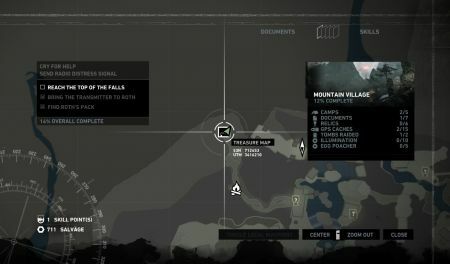 You can read our Guide to Tomb of the Unworthy to see how to go through the cave. We’ll just show you the entrance to the tomb and general information here. The entrance to this tomb is close to the wolf cave where you got medicine for Roth. 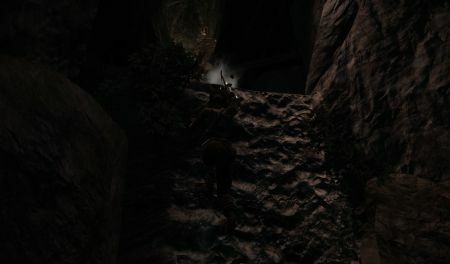 There are markings on the wall telling you to go down into the water to find the entrance. 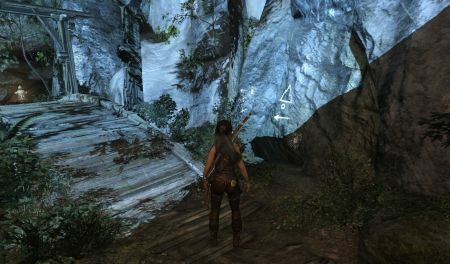 Bridge to the left of Lara will take you to the wolf cave from the main storyline. 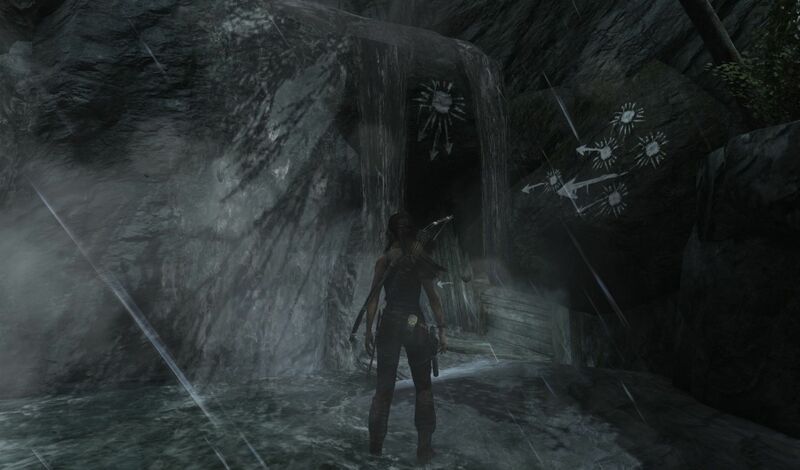 Go through the waterfall to enter the optional tomb. (Note: there’s a GPS cache right there at the entrance as well). 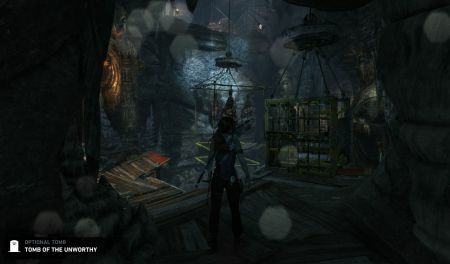 You will need climbing equipment that you get from Roth as part of the main storyline. Follow the trail until you reach the Tomb. 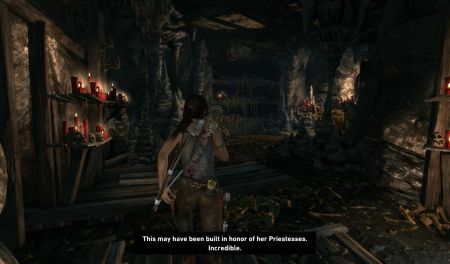 Use our Tomb of the Unworthy Guide to reach the treasure. 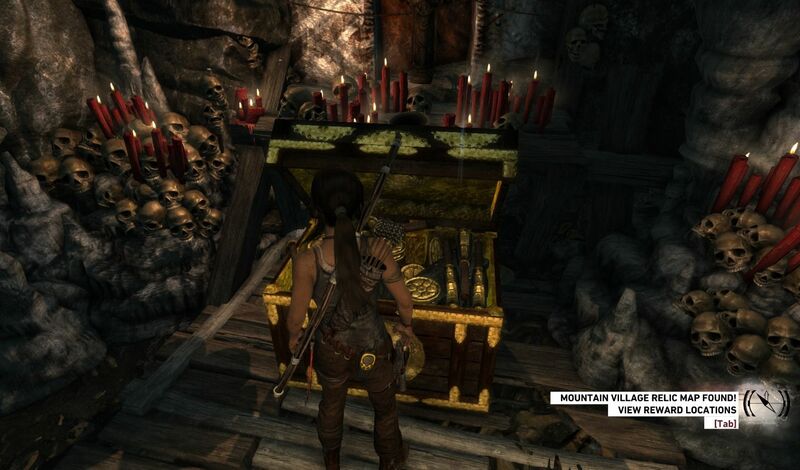 Raiding this optional Tomb will also unlock the Treasure Map for Mountain Village.